When was the last time you were so busy, you forgot to eat? You just go about your day, hustlin' and bustlin', and when it comes time to just sit down and put your feet up, you ask yourself, did I eat today? Because my days can sometimes be pretty unpredictable, I've been stocking up my office fridge (plus one drawer in my desk) with some pick-me-ups that can deliver a punch of nutrition and energy when I only have a minute to fuel the old bod. 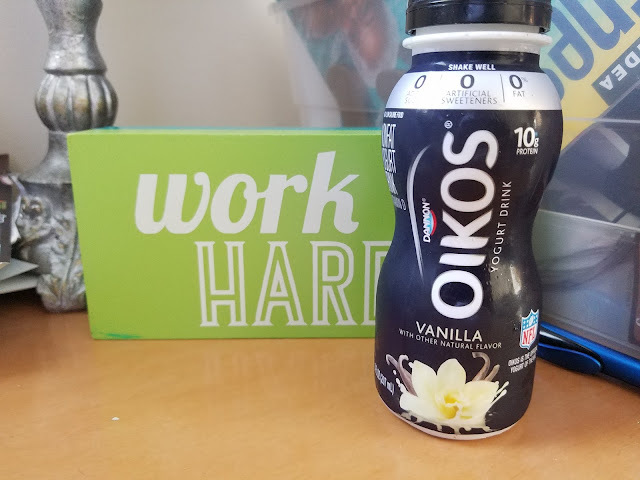 The latest addition to my pick-me-up stash are these cool little four packs of yogurt drinks by Dannon: Light & Fit and Oikos Nonfat Yogurt Drinks. I have some in the fridge at work, and some in the fridge at home, and they are a great time saver! Because I'm almost always rushing out of the house in the morning, all I have to do is grab one and go, and I know I'll have a good bit of protein (9g and 10g, respectively) and a small amount of calories to start my day. At work, it really helps when I don't have much time in between meetings to eat a full meal. And after work, it's great for days when I won't be able to stop at home for a healthy snack (or much dinner) before a volleyball game. 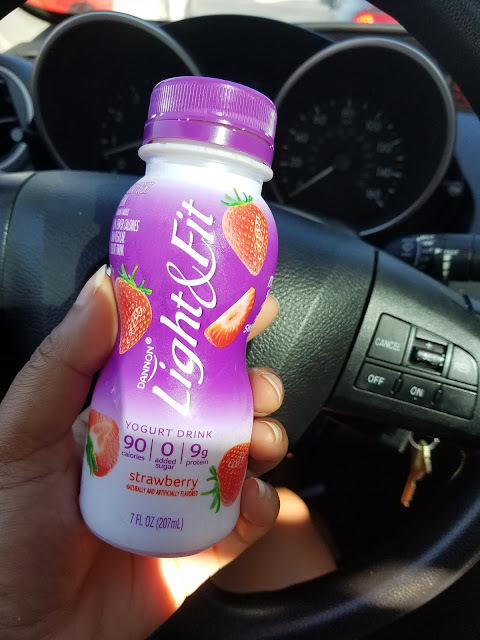 My favorite flavor so far is the Strawberry Light & Fit. It is really light without being tangy or too sweet (you regular yogurt eaters and drinkers know what I'm talking about, right?). Both types of yogurt drinks come in several different flavors, so if strawberry isn't for you, you have other options! Oh, and guess what? Because you guys are so awesome, here's a link for an Ibotta rebate on these four packs! You can find out ore about Oikos and Light & Fit Yogurt Drinks on their respective websites. Do you guys stock your office with healthy snacks for busy days? What's in your stash? What is your favorite yogurt flavor?